Aloha to the Hawaiian Goose- new addition to the ABA Checklist version 8.0! Today the American Birding Association (ABA) just released the highly-anticipated checklist update (8.0) Many birders, including current and past Big Year birders were eager to see which birds from Hawaii would "make the cut" onto the "new ABA" checklist- including Hawaii. Others are excited about the much-needed update of the checklist codes to reflect current patterns of distribution and abundance within the ABA area. Next, four rarities which appeared in the ABA area during 2016 were accepted by the ABA checklist committee: Cuban Vireo, Pine Flycatcher, Common Shelduck, and Amethyst-throated Hummingbird. Also, some new families such as Laughingthrushes and Monarch Flycatchers appear in the checklist, among others. Newly missing: The Thayer's Gull, (R.I.P.) was lumped with Iceland Gull in the last AOS supplement earlier this year, which you can read about in this blog post. Also, it was pointed out on social media today that Budgerigar (Code 6) is missing. I'm not sure if this is an error or not, but will add info as I learn more in the edited update which should be published tonight or tomorrow. 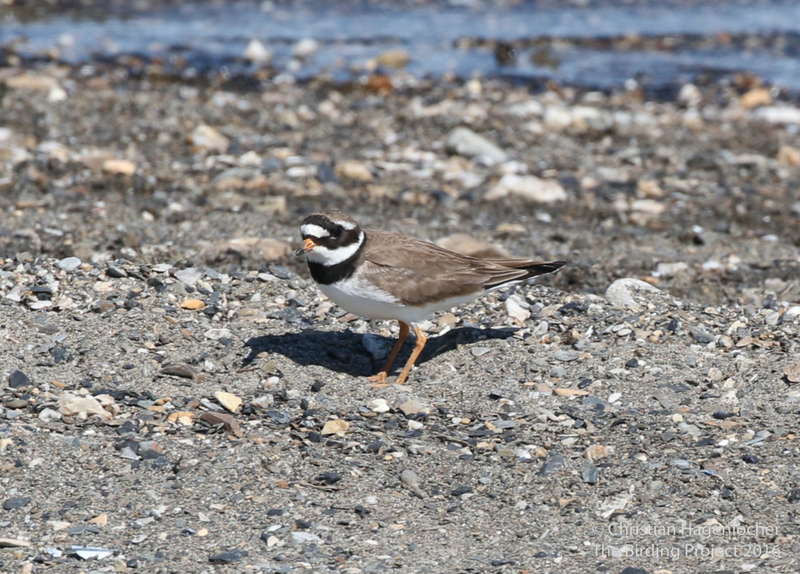 -Common Ringed Plover changed from Code 2 to Code 3. This reflects the scarcity of this species, despite the fact they still breed on St. Lawrence Island and elsewhere in remote Alaska. I was lucky to spot one outside of Nome last year. Vagrants are still irregularly seen on the East coast of the continent during Fall. -Red-footed Booby drops from a Code 4 to a Code 2 due to their abundance in Hawaii. Still a notable vagrant to California and Florida, this species will still be enjoyed by birders everywhere! -Chinese Sparrowhawk?! Also known as the Gray Frog-Hawk, this awesome accipiter and other documented Hawaiian vagrants are now on the ABA checklist, encouraging serious birders to review these species in our field guides and in Rare Birds of North America. Hopefully with an added focus on birding Hawaii, more great records will come from the islands. -Nutting's Flycatcher is now a Code 4, instead of a Code 5. Records of Nutting's Flycatcher in Texas and Arizona from the last 10 years indicate this vagrant now has successfully bred and may be found (with proper directions, a keen ear, and good luck) in the ABA area. I enjoyed the challenge of identifying this flycatcher last year. I only looked over the checklist briefly, and the above changes caught my attention. I'm sure there's more, and I'm excited to look closer and study the list in the coming months. What did you notice? What surprised you? Feel free to leave a comment on this post or on Facebook and share your thoughts! Lastly, and most importantly: Kudos to the awesome committee of volunteers who spent months reviewing the checklist, and vetting the list of Hawaiian birds for inclusion into the ABA list. A huge thanks to committee members Peter Pyle (Chairman), Mary Gustafson, Tom Johnson, Andrew W. Kratter, Aaron Lang, Mark W. Lockwood, Ron Pittaway, and David Sibley. We appreciate your hard work on this! Notice any errors/omissions? We're all learning... email Christian at thebirdingproject@gmail.com He'd love to fix it and make it right!